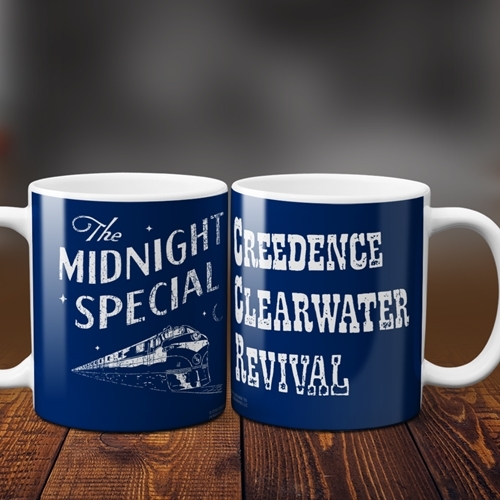 Officially licensed Creedence Clearwater Revival the Midnight Special Coffee Mug! The Midnight Special is printed on one side, and Creedence Clearwater Revival is printed on the other. The Design is printed all the way around this premium 11 ounce Bluescentric Brand ceramic music coffee mug. It is dishwasher and microwave safe.